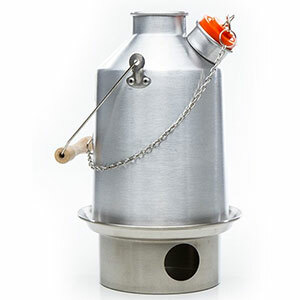 Bushbuddy gasifying stoves are handmade in Alaska. 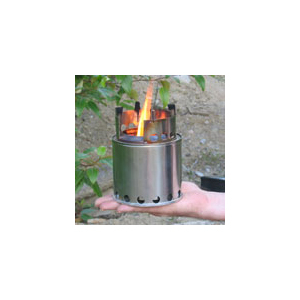 Bushbuddy gasifying stoves are handmade in Alaska. They are simple and effective. It's not the lightest or most efficient stove out there, but there is something special about using this kind of heritage equipment. I have many wood burning stoves, but for short walks and a brew on a calm evening I often reach for this one. It is suitable for 1-2 people looking for a cheap alternative to gas, meths, or hexamine tablets. Yes, there are lighter, cheaper and more efficient designs but this is so simple to use and if I'm just boiling water for a cup of tea or milk for a hot chocolate it is perfect. It uses just a few twigs to get a good rolling boil in less than ten minutes from the time I get it out of my pack, and it is fun to watch the flames while it is boiling. I find it chokes up after 15 minutes or so, so cooking more complex meals might be tricky. It needs a wind shield and boil times are significantly longer when the wind is up and it definitely does not like damp wood. It is a bit of a 'thoroughbred' in that respect. 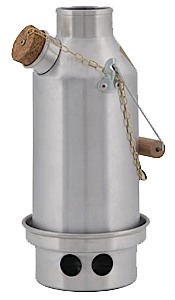 It would not be suitable for hikes in upland areas due to lack of fuel and some areas place restrictions on these types of burner as they are a high fire risk. 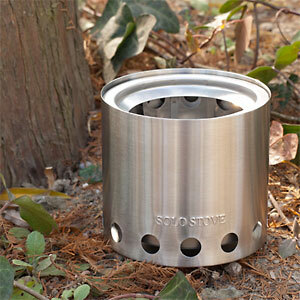 Overall, it is a great little stove from a small company that places respect for the environment at its heart. 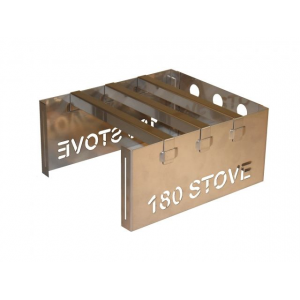 They are well worth spending your money with and the stove is bound to give years of service. Titanium might be lighter but it lacks the character and feel of steel and I really enjoy using mine. Nice review of your stove, Oliver! You have quite the stove collection. I'd love to see some pictures of them in your various reviews. Thanks! Price Paid: About $100 used. I've used the Bushbuddy Ultra several times, and am very pleased with it. Mine weighs 4.9 oz, and there is no fuel bottle to carry! After cooking dinner and breakfast, there is about one teaspoon of ash left. One thing I especially like compared to an alcohol stove is that I can let my pot of dehydrated food sit on top of the stove while it rehydrates - no cozy needed, and it seems to rehydrate better. I'd been carrying a homemade alcohol stove for thousands of miles after 3 thru hikes before finding this stove in preparation for the CDT. Not having to carry the weight of fuel or be worried about finding alcohol in town convinced me to give it a shot. I got the ultra light version, weighs 5.1 ounces. It nestles perfectly inside my Snow Peak 900 titanium pot. So well that it doesn't even rattle as I hike! Construction is awesome; a solid piece of gear. Cooking with fire was a pleasant experience, especially since I never make campfires on my hikes. 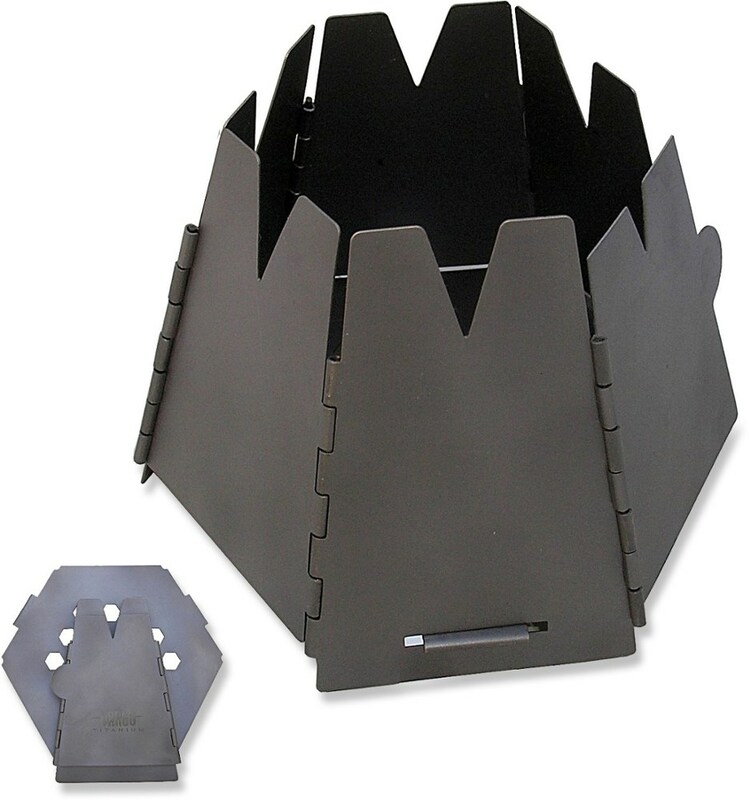 Being that your fire is contained in the metal stove, it qualifies as a Leave No Trace fire and burns the small twigs one uses as fuel to ash. 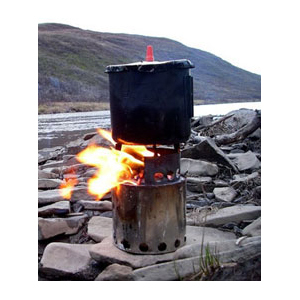 5+ ounces for a stove sounds heavy, but not having to carry any fuel is a huge weight savings. A few cotton balls rubbed with petroleum jelly serves as an emergency firestarter in case you can't find any dry tinder, but with a little know how you can find dry wood in a downpour. The only time I'd hesitate to bring this stove is in an extremely arid climate where fires are extremely notorious. Southern California on the PCT comes to mind here. I suppose one could argue that if you're cooking with fire, why even bring this stove? Having the flames contained somewhat in the metal base was comforting and seemed to limit the blowing around of embers that often results from a fire. Or maybe this was my imagination? The Bushbuddy Ultra is not available from the stores we monitor.